Next generation golf radar features advanced accuracy and enhanced technology. 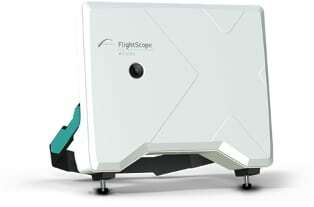 ORLANDO, Fla. -- FlightScope, a world leader in sports technology, announces its x2 elite model for professionals. Featuring a brand new streamlined design, increased signal to noise ratio and higher performance, the x2 elite provides advanced accuracy in its interactive measurement and feedback to help golf teachers advance their students' game to the next level. "We are thrilled to introduce our newest model designed for today's premier golf professionals; the x2 elite is beyond anything we've done before," said Henri Johnson, inventor and CEO of FlightScope. "While developing this newest model we learned from improvements in our defense division and applied the military-precise technology to the x2 elite." Enhanced battery technology in the x2 elite increases battery life and reduces charging time. The x2 elite also measures a range of club and ball data parameters found in FlightScope's previous professional models, including ball speed, carry distance, roll and more, but now with even greater precision. Other added features include a built-in 5MP camera that gives users a digital target view wirelessly on an iPad or FlightScope PC software, a universal camera mount for video capturing, improved handle and automatic adjusting feet for better durability, lighter overall weight, and a wheeled transport case for improved mobility. "We are always striving to provide the golf community with access to the most up to date training technology through our launch monitors, and the x2 elite's unmatched, innovative features are proof of that," continued Johnson. FlightScope will debut the x2 elite at the 2015 PGA Merchandise Show in Orlando, Fla. To find out more about FlightScope or the new x2 elite, stop by booth 373 at the PGA Merchandise Show or visit FlightScope.com.